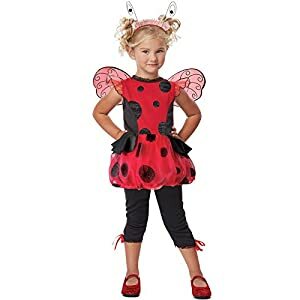 Find toddler ladybug costumes to buy for Halloween through Funtober. 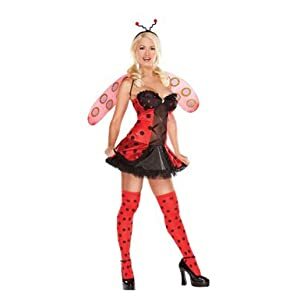 Low prices, fast shipping and great selection of ladybug costumes. 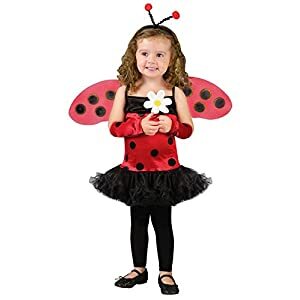 Start shopping for a toddler ladybug costume for sale for this October today. 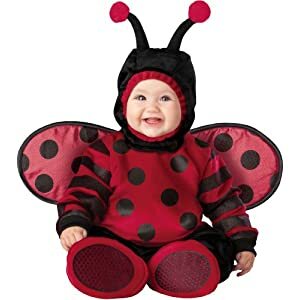 100% polyester velour, satin and knit mesh. Ruffled red poly knit mesh on each shoulder strap. 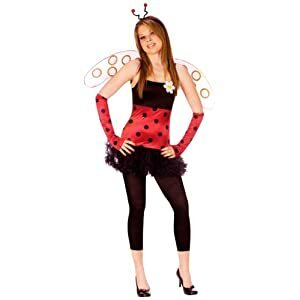 Wings are red poly knit mesh over wire frames, worn w/ elastic straps. Dress With Glitter Print. Leggings. Wings. 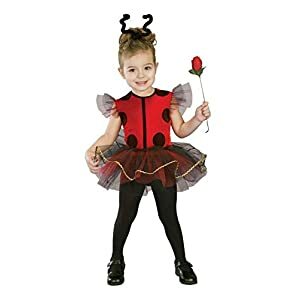 Lil Lady Bug costume includes tutu dress with ruffle shoulders and antennae headband. 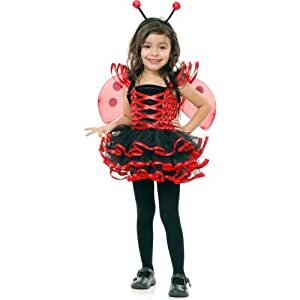 Toddler size fits children up to 41 inches tall, weighing approximately 24 to 36 pounds. Hand wash cold and lay flat to dry.